The arrival of e-commerce has given rise to a number of new decisions to be made at the procurement level. One of them: the kind of void fill you’re going to use to ship your product. It might seem like an item of minor importance, but it isn’t. Your type of void fill has consequences on how well your product is equipped to survive transit, but also for the way it’s perceived by your customer. Apart from that, there’s also the issue of storage and the environmental impact to consider. Needless to say that choosing void fill wisely could have a major impact on your revenue. Packing peanuts, mostly made out of polystyrene foam (Styrofoam), have been commonly used for decades and are one of the most popular types of void fill. Recently, however, awareness has risen about Styrofoam possibly being carcinogenic, with cities and countries worldwide banning the material. Environmentally friendly packing peanuts, made from corn starch or recycled paper, are available, but they’re more expensive and heavier than traditional ones, adding to shipping costs. Just like peanuts, bubble wrap or – alternatively – foam roll are some of the most widely used packaging supplies. The material is thin and flexible and easily wraps up any breakable or fragile items in a protective layer. fun: who doesn’t love popping bubble wrap? Air-based void fill usually comes in the form of plastic polyethylene bags that need to be inflated by a machine. The compressed air either suspends the item in the bag, or is used as cushioning around it. Paper packaging supplies are used both to wrap items or as cushioning – in that case, crinkled or balled up. Paper void fill comes in many different colours, weights and thicknesses. Crinkled paper void fill is basically just shredded paper or cardboard. Kind of like longer strips of confetti you use to sprinkle around a box. It’s often used for decorative purposes. The above analysis clearly shows that any type of void fill, however easy to use, always comes with a number of disadvantages. Typically these include additional costs (for storage and/or shipping), a higher environmental impact and annoying waste your customer needs to dispose of. Apart from that, most types of void fill aren’t particularly aesthetically pleasing. Keeping in mind that in e-commerce, your packaging is often the first physical point of contact between your customer and your brand, that’s a major concern. Offering an improved unboxing experience, that minimizes or eliminates void fill altogether, is usually a win-win. The reason why you need void fill is the first place, is because most packages contain lots of empty space. This causes the product to move about, which is why additional protective material is needed. 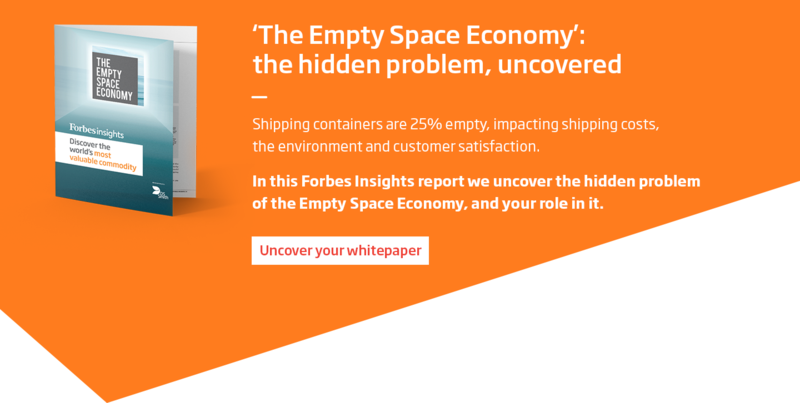 Shockingly, because of the empty space issue, the equivalent of about 61 million TEU containers are being shipped unnecessarily each year. Developing packaging that fits your product well and is easy to open solves both the empty space and the void fill problem. The packaging experts at DS Smith developed a solution that does just that: Made2fit.